The Healthwear concept began in 2002 when founder Mark Berghorn, then a Sales Manager for a successful independent Industrial Uniform Supplier, began to look at the needs of the local medical community for patient gown, linen, uniform and lab coat service. As a salesperson and Sales Manager who understood the importance of building relationships and providing world class service, Mark saw the opportunity to provide the same services to the medical community. Mark spent months visiting other suppliers around the country who offered similar services, along with researching OSHA standards for blood borne pathogens and requirements needed for proper linen handling. Most importantly, Mark found out what was lacking in the local area: A local supplier of medical linens and uniforms that specialized in providing rentals to surgical centers and private offices. Some offices were using disposable products. In addition to being more expensive and wasteful, these products tend to make the patient/provider relationship more stressful due to the quality issues. Offices that see the value in image and patient comfort have been able to upgrade with Healthwear’s medical linen program. Other offices were purchasing and washing their own items. This becomes expensive, as it includes the up-front purchasing costs and the labor involved with washing and folding. On top of all that, the washing and handling procedures may not follow OSHA guidelines, putting the medical facility or office at legal risk. Other offices were being serviced by suppliers whose primary focus is hospitals, nursing homes, restaurants, and/or industrial facilities. While they are able to provide the necessary products, they are unable to provide the specialized product and attention that a local HealthWear program provides. After finding the HealthWear rental programs well-received in the local area, and over 20 years of laundry and dry cleaning experience, Mark began to offer the HealthWear program as licenses across the country. Independent companies are now able to bring a HealthWear program to their business, while maintaining full ownership. With help from experts in the medical and laundry field, Mark also created IBMLS (Independent Business Medical Laundering Standards), which is a comprehensive document that acknowledges that all procedures are in place to ensure proper handling, procedures, and customer service for the linen provider/health care provider relationship. 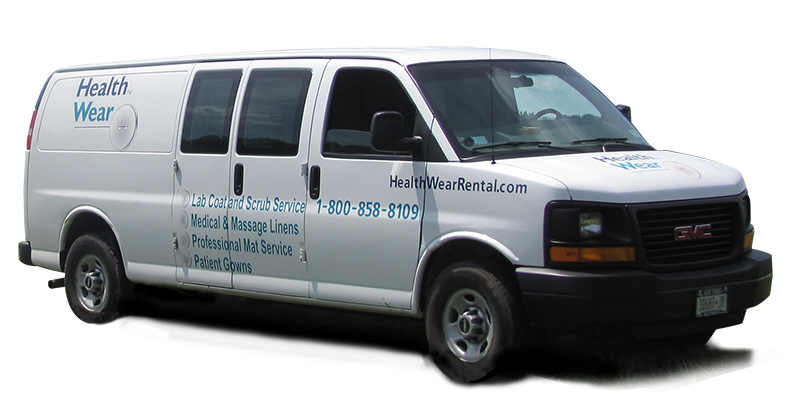 The original HealthWear operates today in Endicott, New York as HealthWear Rental. In addition, there are other independently owned HealthWear licensees in the United States who operate with the same local supplier relationship concept.